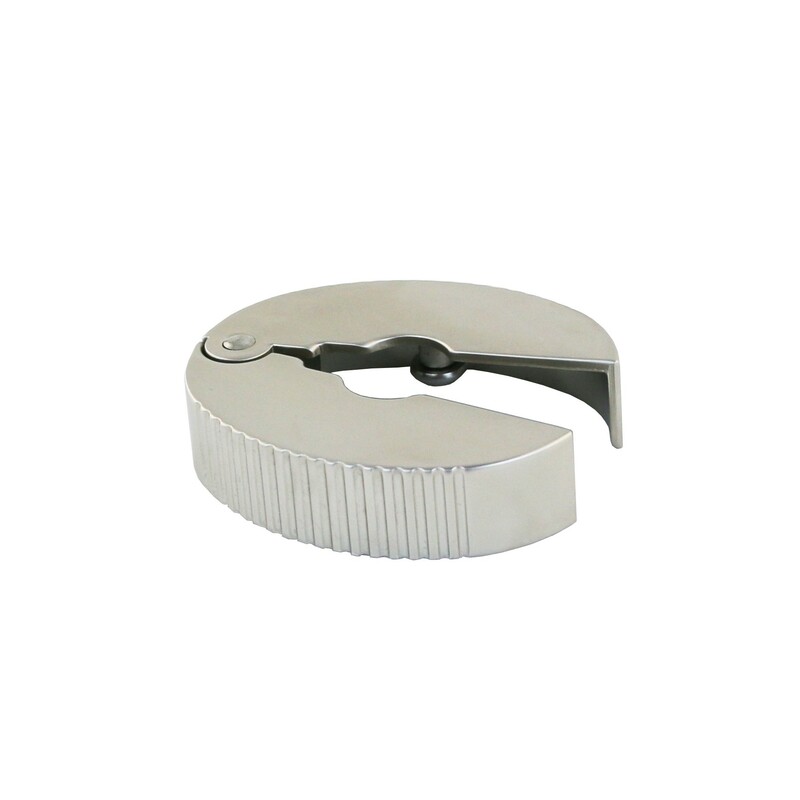 Monopol German Foil Cutter. Elegant satin finish. Enables easy foil cutting with three sturdy cutting wheels. Spring loaded. The tong like shape offers flexible adjustment to different size bottle necks. 2-5/8” high. Zinc die cast. Imprint area: 1” X 3/4”. Laser engraving available.